Bet you didn't know there was a Boss 302 Canadian Connection did you? 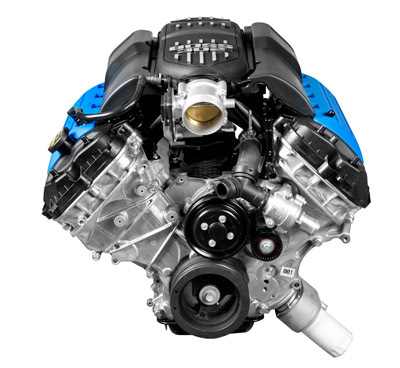 Ok, if you've been following the success of the Mustang Boss 302R in motorsports, you may have heard of Multimatic Motorsports. If you haven't been following the Boss history closely, you may not know that the beginnings of the 2012 Boss Mustang testing started with the new engines being tested on track and racing all of the 2010 race season. Using what they learned from on track telemetry, as well as driver and team input, all the kinks were worked out in what can only be termed a torture test for a street car engine. Even one that was going to end up in Ford's modern recreation and tribute to the legendary Boss 202 Mustangs from 1969 and 1970. So where does the Boss 302 Canadian Connection come in? Well, Multimatic isn't just a race team. It's part of a large entity, which has and still does work extensively with Ford Motor Company, Ford Racing, in a number of areas, including many vehicle suspension systems, engineering and prototyping of complete vehicles. It was involved in the Ford GT development and works with a number of other high end manufacturers, including it's production of the Aston Martin carbon fiber monocogue chassis in it's $1,000,000 One-77 supercar making it's debut in 2012, developing a new 800 horsepower Canadian supercar, the De Macross GT1 and development for the Red Bull F1 team. With all that expertise and tech behind them, you can see why Ford chose the company, from Markham Ontario, to not just be it's Boss 302 Canadian Connection, but to build the cars from raw body to completion and be part of those puttinng the 2011 Boss 302R and its factory stock 2012 Boss Mustang engine through it's paces. Here's Multimatic's owner explaining how the Boss is put together. Check out this Boss 302R going through its paces in it's qualifying run at Homestead race track in Miami Florida. This ought to Make for some interesting conversation at the bar during those cross border shopping bouts!